It's about time I started a thread on the next little layout (and also started doing some work on it!). It will be based around a small cable manufacturing company, again circa early '60's. and of course the transfer crane has been built and working for some time. It will all take a bit of time - but that's the fun.....! I must say your Bagnall looks very much at home - very reminiscent of BICC in Kent! Ah... 'Sir Tom' etc.....! A very happy coincidence? 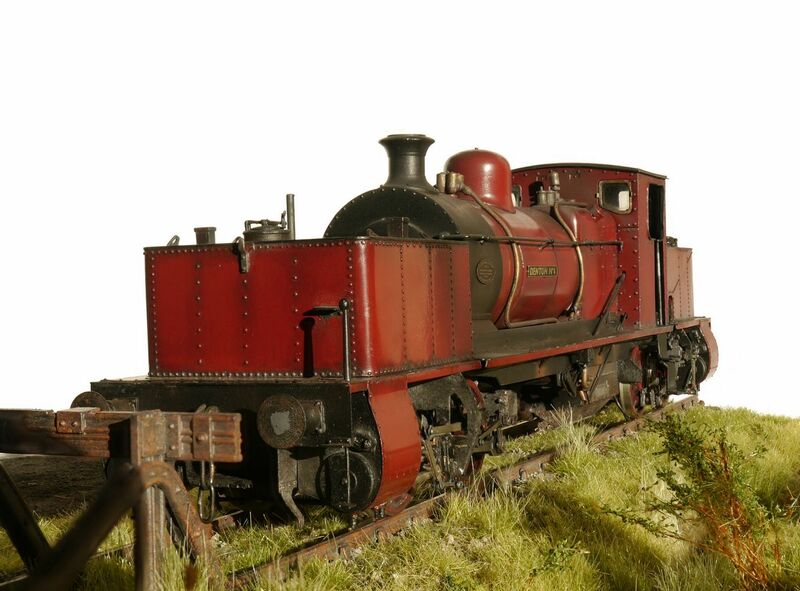 I think they must have handled some quite large drums there, as their wagons required bars in between, which mine don't (for the diameter) unless there was some other reason requiring separation. I've been working on one of the other points (which will be ballasted, and are therefore conventionally made with C&L chairs and sleepers). 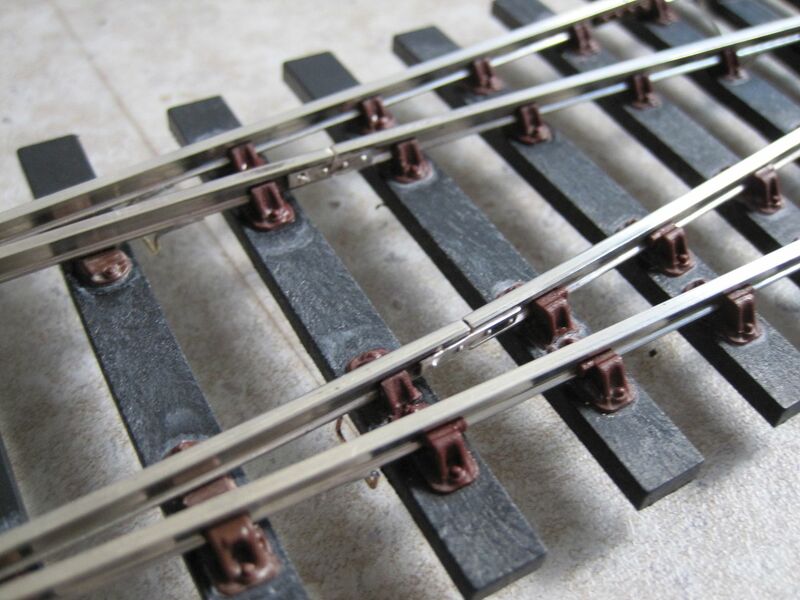 As you may know, I've recently got back into silver-soldering in building 7mm stuff (I've been silversoldering bigger stuff and smaller stuff all my life, but like most people, revert to using soft solder on almost everything model railway simply out of habit!). 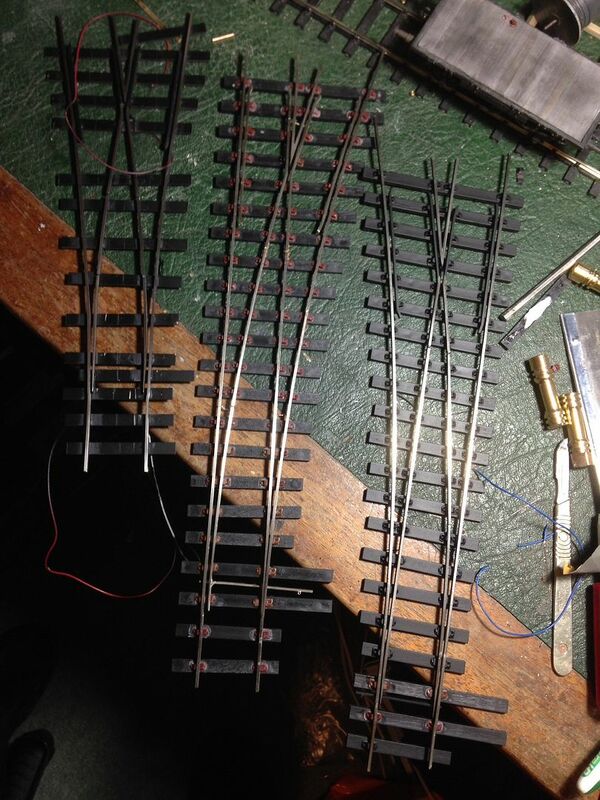 All the valve gear and slide bar assemblies on the Garratt were silver-soldered, together with all the valve gear rivets - which was soooo much easier than soft soldering..... And so I've been continuing this into the point making as well. 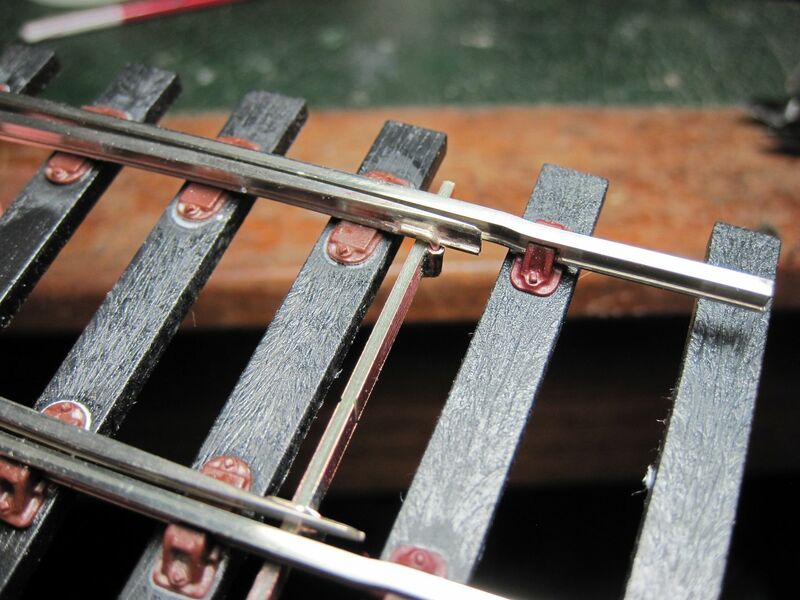 The nose of the points is silver soldered, together with the 0.8mm nickel silver bar, which will tie in the wing rails. Apart from being extremely easy to do, the value of silver soldering all these, is that when I come to (soft) solder the wing rails to the bar etc., there is absolutely no risk of anything coming adrift and causing me difficulties. 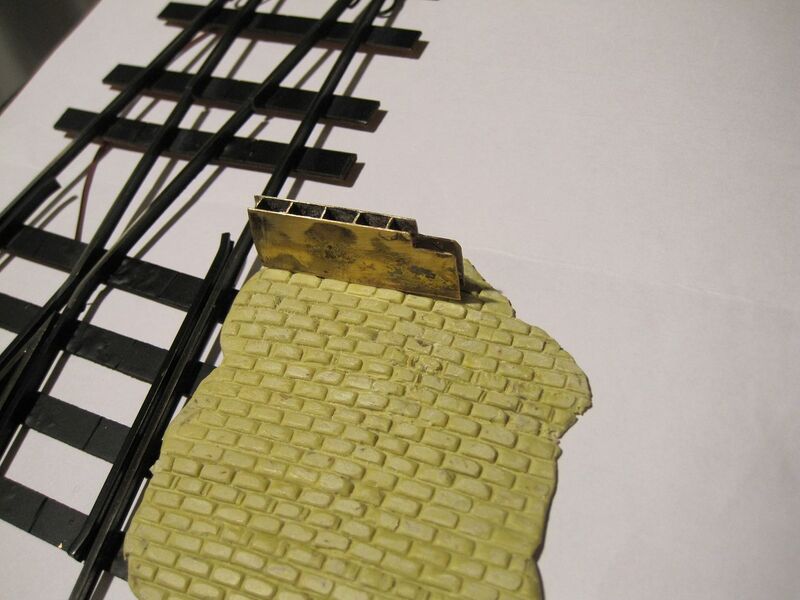 The silver-solder melts at around 720 degrees C.
By the way, what size are the scenic boards? Hi Stephen - They're 8' x 2' 10" ( 2 off 4' x 2' 10") - as much as I can possibly store and fit into the car!!! The blades needed a break to allow them to pivot, as they were too short to rely of simple flexing. 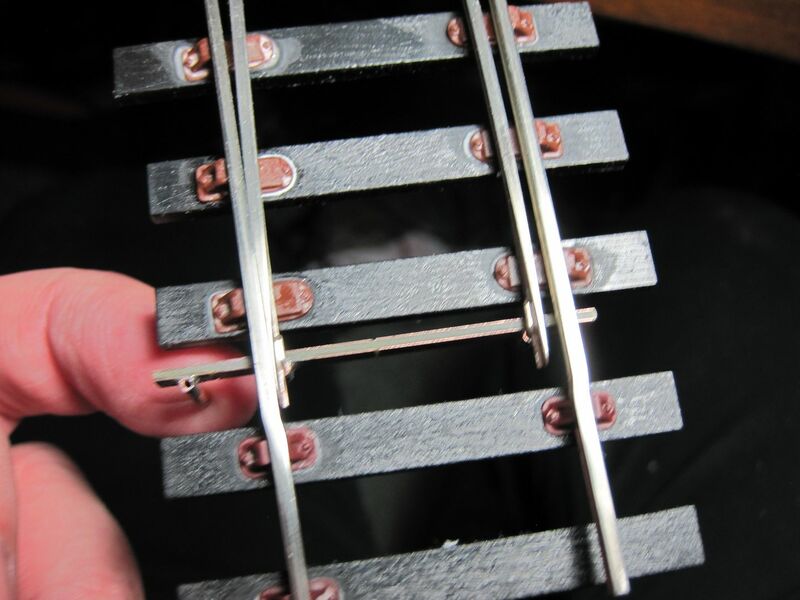 I therefore made simple fish-plates from nickel-silver (etch off-cuts) and silver-soldered them to the chaired rail, drilled out a 0.5 hole with the blade placed in the fish plates, and then put some 0.5mm wire through the lot, and put a touch of silver solder on both ends of the wire. This gave me a little movement on the blade, while holding it nicely vertical. 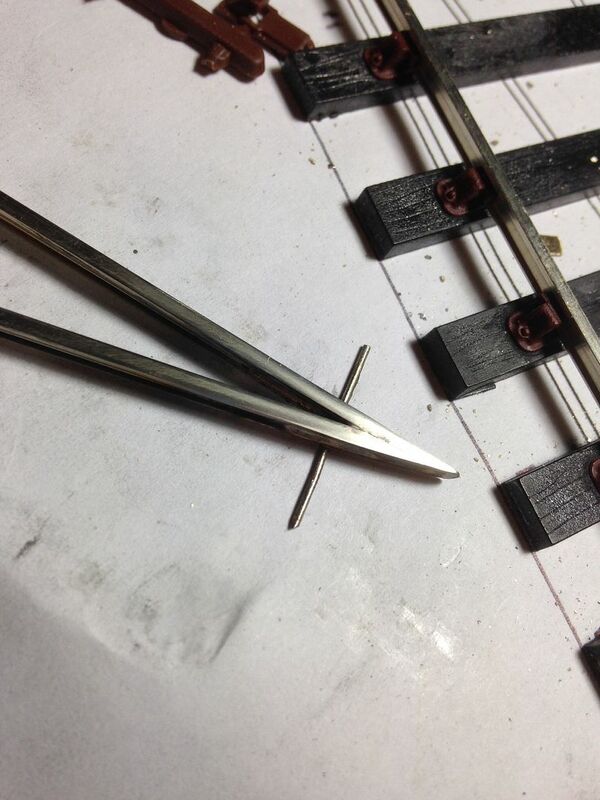 0.8mm nickel silver wire was silver-soldered to the tip of the blade to engage with the tie bar - which is a piece of 00 copper paxolin sleeper, with two pieces of small diameter tube soldered to it. Once the blades are in position in the tie-bar, the ends of the 0.8mm NS were bent over at 90 degrees to retain it all, and then trimmed off. 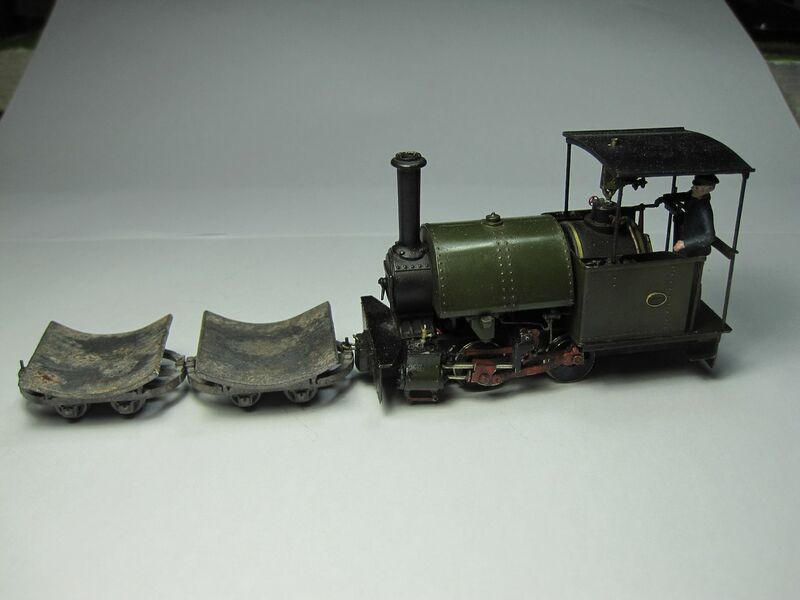 Looking forward to watching this one grow Giles, and will the garratt be running on it? 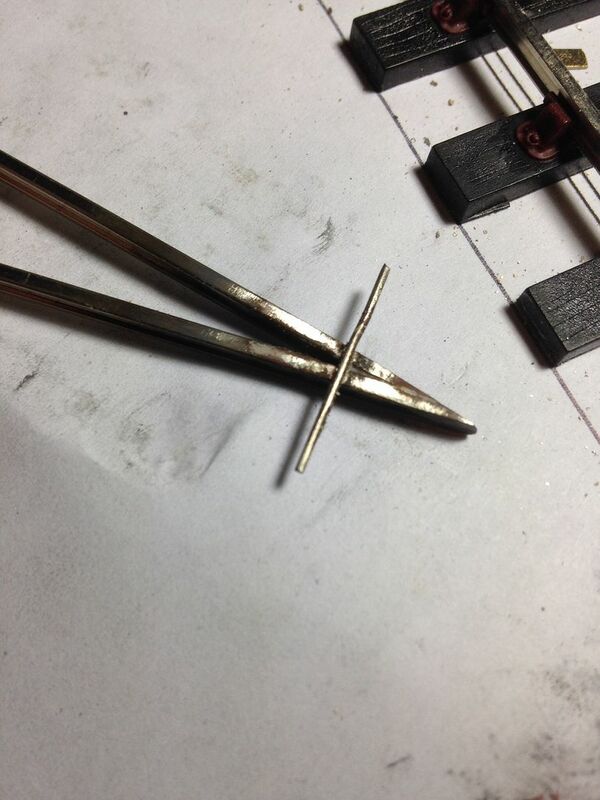 ... And I've finished the third (and final) standard Guage point. That might seem like not a lot to everyone else, but it seems to take me forever - so it's a nice hurdle to have jumped. 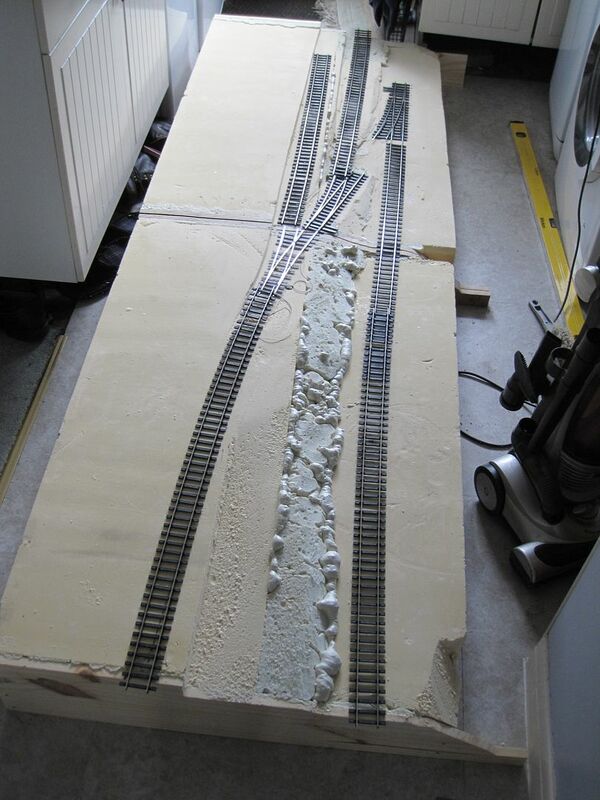 Baseboards next, then some track can go down! Oh go on lets see the 37. Giles can you let me know where to get the Silver Solder paste as featured in you video please. Also does it work well on brass? You'll find it may change the sequence of your assembly work a bit - but it really does make life easier. Thanks Giles. I have used Silver solder in my engineering career, but never considered it in modeling. Just stumbled across this, will be watching with interest. When should I pencil in the first operator training session? It's got to be 18 months plus...... Time to warm up your fingers for crane operation as well as lorries, Garratts, and anything else I can organise for you both! What track are you using Giles?